Yes folks! 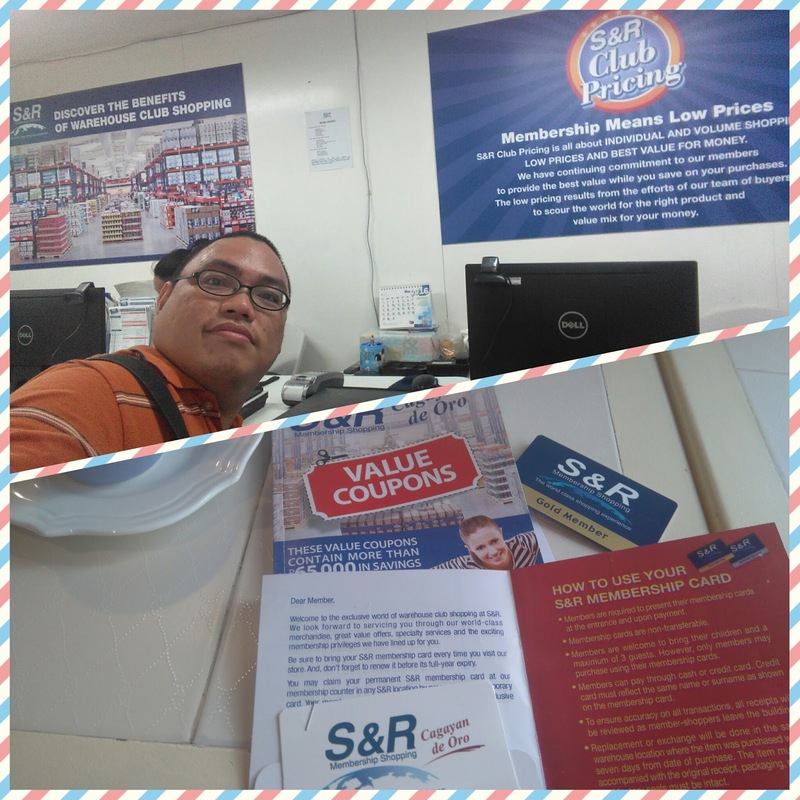 In just a week the much awaited opening of S&R Membership Shopping Center. S&R is located along Kauswagan Highway in front of RMTI depot just before Bulua Market. My First S&R experience was way back 2014, when wife and I, together with her brother and his family, traveled to Bantayan Island. When we came back to Cebu City we had dinner in S&R wherein borther-in-law is a member. Scoops of Ice cream, If I remember it right thats Chocolate, Strawberry and Coffee flavors. Blue Bunny Brand. Grilled Chicken (and Southern style Chicken, sorry no photo of this, niece is so hungry she ate it as soon as we opened the box). D### those chicken pieces are so big. and of course my personal favorite, bottomless drinks. Are you a member yet? Well if not, please do so. All you need is to present two valid IDs, filled up form and personally go to the store for photo capture. You can get your membership ID right away. As for the fees, Gold Membership is 700 and 400 pesos for its extension. Business Membership is 900 pesos and 400 pesos for the extension. Membership is good for one year. Besides for the fast food area, I’m also looking forward to the low priced items. Some items can only be seen in S&R that is why being a member is a good bargain. When I filled my membership, the clerk also said to me that they will also have a car care center. So folks, see you in S&R on the 28th. Doors opens at 10 in the morning.